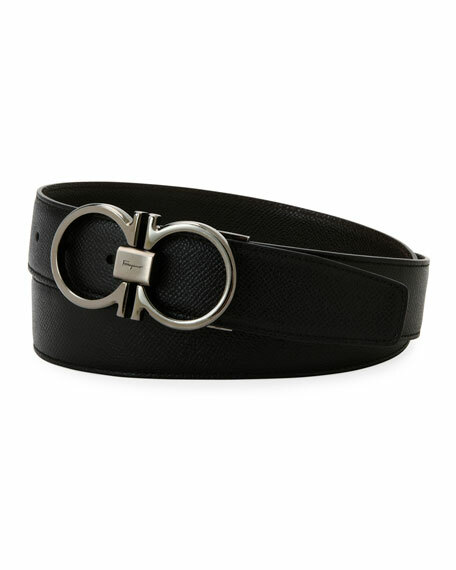 Salvatore Ferragamo reversible belt in vitello calfskin leather. 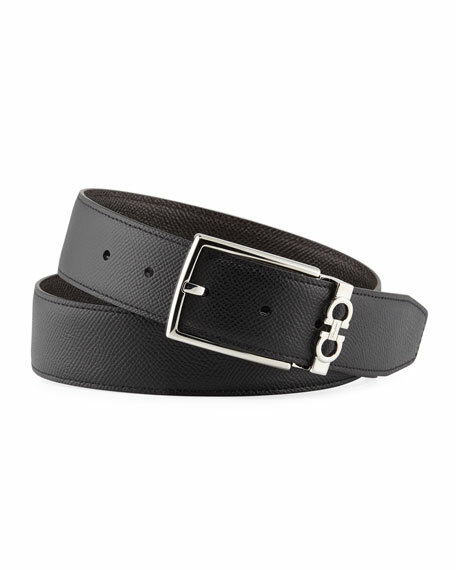 Salvatore Ferragamo belt in calf leather. Shiny golden Gancini buckle with logo-engraved center bar. Adjustable fit. Made in Italy. 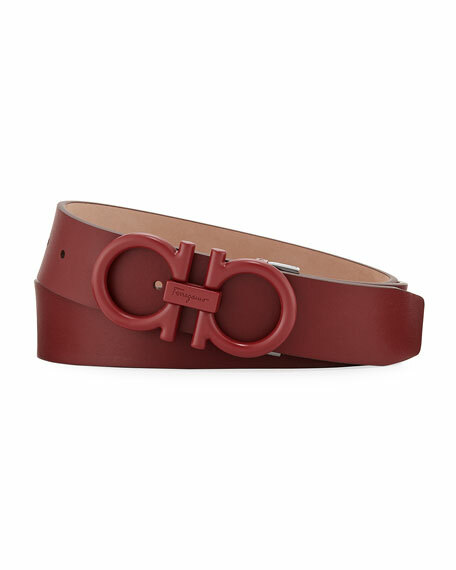 Salvatore Ferragamo belt in stamped saffiano leather. Antique silvertone classic double-Gancio buckle with engraved logo. Approx. 1.3"W. Adjustable fit. Made in Italy. 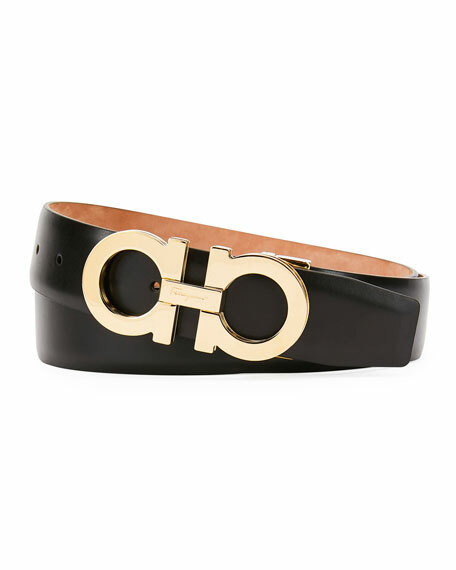 Salvatore Ferragamo calf leather belt. Tonal logo-engraved Gancini buckle with matte finish. Adjustable fit. Made in Italy. 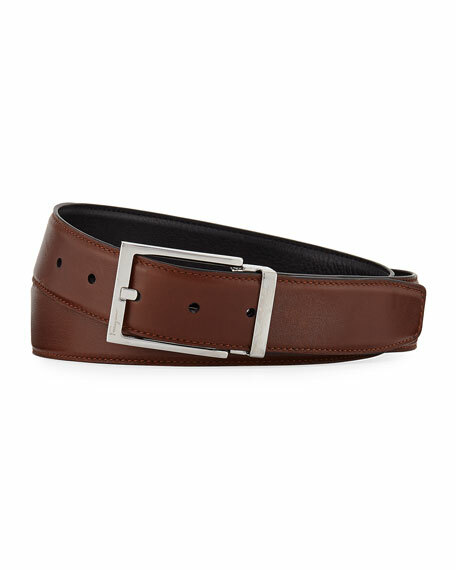 Salvatore Ferragamo textured leather belt reverses from black to brown. Approx. 1.4"W. Classic silvertone buckle with Gancini-detail keeper. Made in Italy.